It's a plant. It's growing. Wow. Green Bulrush has a unique grass like wild look to it. It can live for more than two years. It stands at about 2 - 4 inches from the ground. The green bulrush often has branches that contain about 5 to 18 green spikelets. These spikelets are about 1/2” long. The spikelets contain about a dozen leafy, round puffy branchlets at the top of the plant. These branchlets are only about 3-6 mm. When Green Bulrush, the branchlets have a yellow-green appearance to them, but as they mature, they begin to turn to a darker brown. The blooming period for the green bulrush is typical during the early summer. The green bulrush needs lots and lots of water. Therefore, the wetlands and wet soil is the best kind of dirt for the bulrush plant. Although, these plants are good in meadows, fields and human-made habitats. 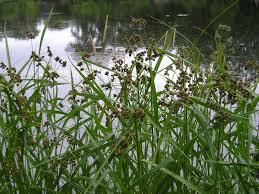 Many people use the green bulrush plants near lakes for restoration, ponds, and gardens. Green Bulrush otherwise called Dark-Green Bulrush. This grass will develop incredible in wet soils and will endure being in water profundities of 1 inch or more. It functions admirably with Lakeshore rebuilding, precipitation gardens, on stream banks, bogs, or lake development. This grass will be most dynamic in the event amid the cold seasons in the spring and fall time when the dirt is at a more freezing temperature. It can be discovered developing in a significant portion of the United States. It will do extraordinary in supplement rich, wet soils. Green Bulrush perennial grass will turn out to be extremely tall contrasted with some other local herbs. It requires the little push to make strides. This plant will blossom in May through June and have sprouts that contain up to 25 spikelets. The blossoms will show up in bunches of yellowish green that will later get to be red-chestnut. Its blooms will be isolated and contain three stamens. At first, the seedlings will be little green sharp edges when they show up in ahead of schedule spring. The Green Bulrush plant is extraordinary to use in the garden or scene and will help to counteract disintegration. This grass would be perfect to use the water garden region or other standard wetlands to give a characteristic look. The leaves will be lost every year and regrow the next year. This plant may be engendered by sprigs or seeds. It just has a moderate capacity of spreading through seed creation, and the seedlings will have medium power. 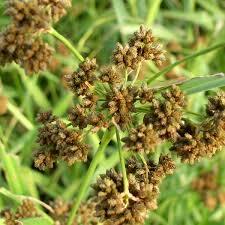 Green Bulrush doesn't endure water limitation, or dry season conditions well.